This past week I attended the American Association of State and Local History (AASLH) annual meeting in St. Paul, Minnesota. I have come to expect the unexpected when I attend professional meetings. Perhaps the greatest unexpected highlight of the AASLH conference was a session organized by my former student and now colleague, Katie Stringer titled “Welcoming All Visitors: Accessible Programs at History Museums and Sites.” Through her dissertation research, Katie has developed considerable expertise in this area. 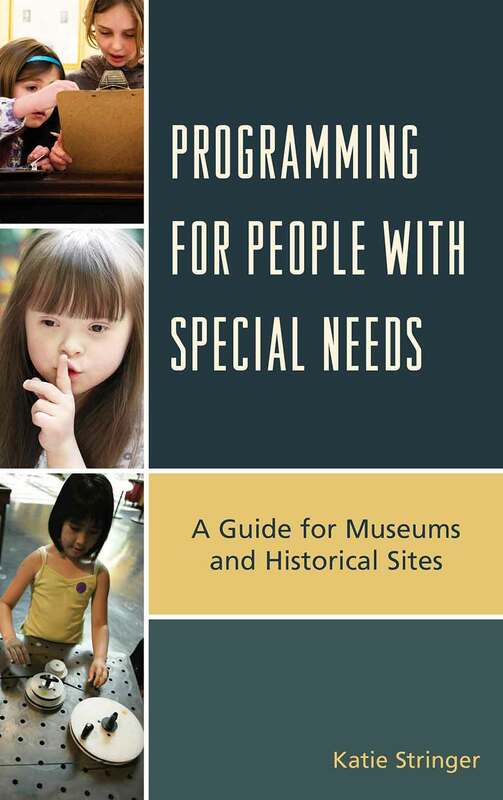 She recently published Programming For People With Special Needs: A Guide For Museums and Historic Sites. The volume focuses on seven key components needed to create effective museum experiences for individuals with special needs. Based on her work in Tennessee, the book also draws on case studies as disparate as New York’s Museum of Modern Art and the Brooklyn’s Transit Museum. The 110 page volume is a concise primer filled with go-to resources for any cultural heritage professional seeking a holistic introduction to the field of inclusivity. Katie’s presentation in St. Paul focused on her research contained in her recent publication. Two other papers in the session focused on specific needs that were very relevant to our programming needs at the C.H. Nash Museum at Chucalissa. Mattie Ettenheim, Museum Access Program Manager for City Access New York addressed program creation for individuals with autism. Besides providing a solid introduction to the general needs for creating effective experiences for children on the autism spectrum, Mattie provided excellent online resources to get more detailed information on the subject. Particularly helpful are resources available through the Museum Access Consortium, including a series of podcasts (right hand side of link). Mattie also noted that Kids Included Together is an excellent resource on creating programs for children with special needs. Callie Hawkins, Associate Director for Programs at President Lincoln’s Cottage, Washington D.C. shared her work on creating innovative programs for individuals with impaired hearing, including ASL-based podcast tours of the facility. She noted that resources for funding requests for such programs were given a high priority through organizations such as the Institute of Museum and Library Services. I found all the presentations particularly relevant to our situation at the C.H. Nash Museum at Chucalissa. As a small museum, because of our low staff to visitor ratio, we are able to provide programming for children with special needs that larger museums simply are unprepared for. For example, our Art For Voice camp last summer was particularly attractive for several children on the autism spectrum. Our intent is to expand our special needs programming. We are fortunate that two of our Graduate Assistant staff also have considerable experience in programming for children with special needs. For many types of special needs, the small museum is often more suitable than the larger institutions. Persons with autism, reduced immune systems, special physical or cognitive needs are often better served in the less crowded and more tranquil small museum environment. Funding for creating such programs may be prioritized through organizations such as IMLS or local support networks. There are often formal and informal networks of parents, care-givers, and other service providers who can assist in the creation and implementation of special needs programs. How do you serve your special needs visitors? Thanks to Dr. Robert Connolly at Archaeology, Museums & Outreach for the review of my session at AASLH last week. My own updates and reviews from AASLH in St. Paul coming soon!